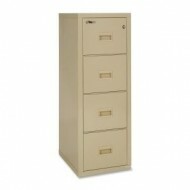 The three (3) drawers of the 3-1881-C come prepared for letter size hanging folders. 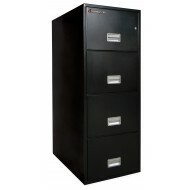 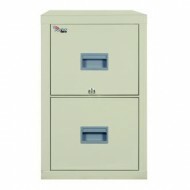 This fireproof file cabinet has a UL rating for one hour fire protection. 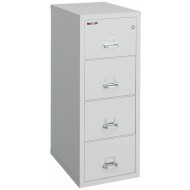 In addition, this model passed the 30 foot drop test and drawers didn't break open. 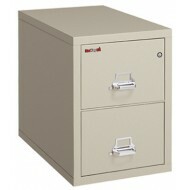 This earned it a UL rated impact resistant label. 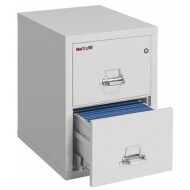 The FireKing 2-1825 is part of the 25 Series intended to be economical and space saving. 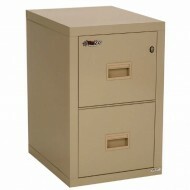 The 2-1825 is a two (2) drawer vertical letter size file. 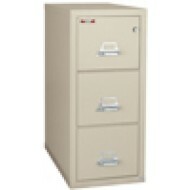 The 2-1825 carries the UL one hour fire rating and is water resistant. 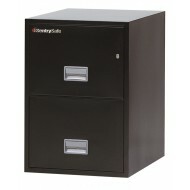 For quickest delivery pick from our in-stock colors Black, Platinum and Parchment,.